Busch Design Build is a thirty year old family-owned business that designs award-winning sustainable architectural structures and landscapes that blend functionality and form to create inspired spaces. We have been in the design and construction industry for over 30 years, and have achieved an unrivaled reputation in our field. 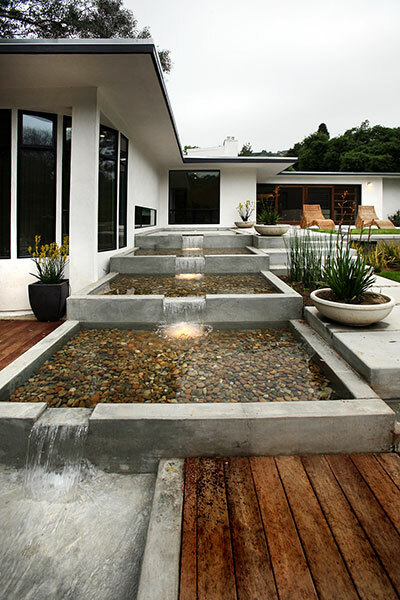 With an unwavering commitment to providing our clients with elegantly and environmentally friendly spaces, we have become the premier build and design firm for those seeking Los Angeles Green Healthy Remodeling, Chemical Sensitivity Construction, pH building design and eco Construction services. Busch Design Build's president and founder, Douglas Busch, has sought out some of the best design talents, bauBiologists, environmental doctors and toxicologists, and inventors from around the globe to meet the needs of diverse and demanding clientele. We firmly believe that design is a cyclical process that should incorporate elements of site, plan, form, volumes and use into a stylistically coherent whole. That is why we thoroughly analyze each site before beginning our work, regardless of whether it is in or out of doors, so that we may assess the climate, light, flow, circulation, and other less tangible elements of a space. Busch Design then conceptualizes the two-dimensional layout, taking into account the existing topography, the surrounding area, views, wind patterns and the intrinsic energy of the area to create a design that is both inspiring and Eco-conscious. Whether you are trying to achieve an updated space that feels warm and welcoming within your home, as well as healthy or would like to create a landscape that is more environmentally friendly and tranquil, the Busch Design Build team can provide you with the services that you need, and a personalized experience that is unparalleled in the industry. *Partner Douglas I. Busch has devoted his life to aestheticism. Busch's fine art photographic career spanned over 40 years. Making the transition to three-dimensional art piqued his enthusiasm, as he was thrilled to create a piece or art that could be lived in and experienced. 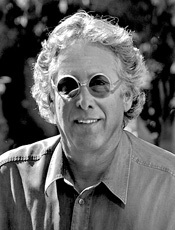 After a 40-year career as a professional photographer (with photographs in the permanent collection at the Smithsonian and other work acquired by the J. Paul Getty Museum and LACMA here in Los Angeles), Busch redirected his energy from creating two-dimensional art to designing three-dimensional artful structures. He brings with him an aesthetic sense second to none. For more information on Busch, please visit his photography website at douglasbusch.com. Also visit phliving.us and ecoTECHdesignstudio.com. Doug is a designer, custom home builder, and licensed building contractor, with a unique perspective on architecture and green design, inspired by his passion as a world-renowned photographer. 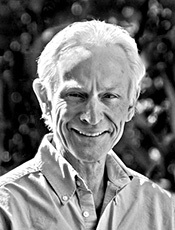 Dating back to his environmental work with mentor Ansel Adams, Doug has maintained a strong voice in advocating protection for the environment. Throughout the over 50 custom homes that he has designed and built in Southern California, Doug has combined his distinctive blend of contemporary aesthetic and passion for nature—to reflect his holistic approach to the built environment. Doug’s award winning artwork is featured in collections at museums around the world, some of which include the J. Paul Getty Museum, the Smithsonian Institute, and Los Angeles County Museum of Art. Doug is also an inventor, and holds patents on green building technologies, cameras, and lenses. Among his many other accomplishments, Doug is the founder of the No Strings Foundation, a charitable organization that provides grants to up-and-coming artists and green building designers. Lori brings over 18 years of interior design experience with emphasis on material development and handling in the fields of lighting design, furniture design, and finish specifications. She is the founding principal of Busch Design Build in Malibu, CA, an international firm specializing in high-end multi-million dollar commercial and residential projects.Lori has designed over thirty residential and multi-family projects. 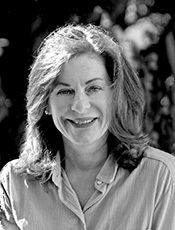 Many of which incorporated green building principles and healthy specification standards.Lori received her degree from the University of Southern California in Art History and worked as Robert Graham’s studio director for 13 years before joining Busch Design Build. She specializes in the purchasing of Fine Art for the home and the office. 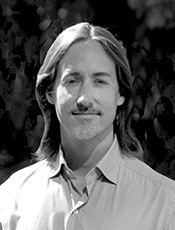 Michael Francis, AIA, IIDA, LEED AP, is founding principal of Queue Design Agency. Trained as both an architect and interior designer, Michael adds a unique and valuable perspective to the design process, bringing a holistic vision to every project – from structure and form to finish and furnishing.Michael is also founding principal of PH Living (www.phliving.us), an LA based design-build firm focusing on modular and site fabricated custom home designs that emphasize sustainable and healthy building practices.Prior to forming Queue Design Architects, Michael worked for the internationally recognized firms of EEA-Erick van Egeraat in Europe and Core Group Architects in Washington, D.C.For additional information visit Queue, LLC. Larry adds a wealth of environmental knowledge to the pH Living Team. He is a certified Building Biology Environmental Consultant, and President of the Board of Directors of the International Institute for Building Biology and Ecologies, where he continues to teach. Larry is the founder of Gust Environmental, a company specializing in the complete assessment of indoor environmental health factors from the perspective of the growing human sensitivity to environmental toxins. He has served clients in the US, Europe, and Oman since 1993, evaluating and recommending remedial measures in over 1000 residential and commercial buildings. As a consultant, Larry also specializes on the environmental aspects of the construction and remodeling of homes and offices. He is also a Certified Electromagnetic Radiation Safety Advisor (CERSA) through the Safe Wireless Initiative of the Science and Public Policy Institute. Larry has an extensive 25-year business background with careers at two Fortune 500 companies. Previously, he studied environmental technology at the International Institute for Building Biology and Ecology and receiving a BS Electrical Engineering degree and an MBA from the University of Wisconsin. For additional information visit Gust Environmental.